I have the gc2035 camera working on my Orange Pi One running Armbian, but I need a better image sensor. I've had a quick attempt to get an ov5640 working without any luck. 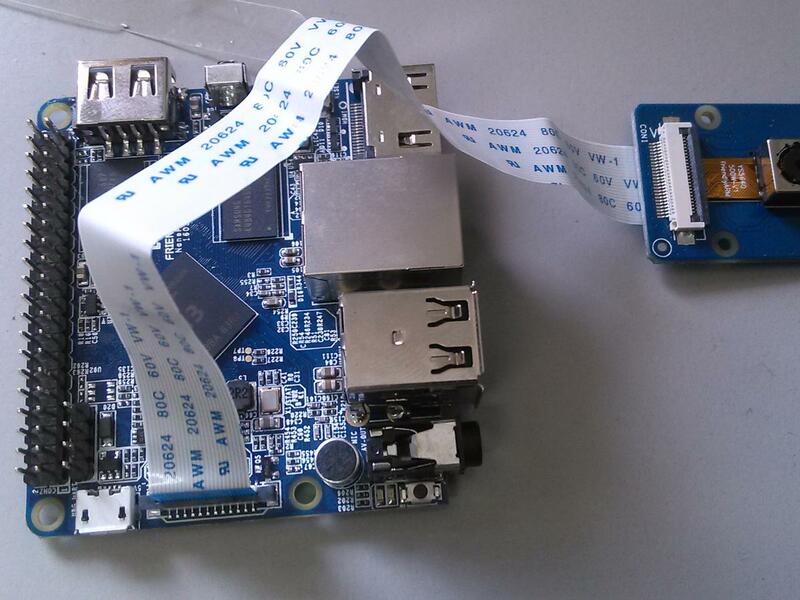 It is a popular 5Mpixel module similar to the RPi camera. I know that 'Sitheek' on the Orange Pi forums had it working. However, that place is a ghost town now and Sitheek has not visited since January. So, I wonder if anyone here has got an OV5640 camera working, or failing that, could just offer some pointers on how to go about this? Thanks. Regarding OV5640 -- this is also the camera SinoVoip sells with their H3 board (BPi M2+). Based on experiences with the real Banana Pi I would suspect quality is still horrible (driver thingie -- I've never seen anyone getting more than 640x480 pixel out of this 5MP module in Linux since you need to sign an NDA with OmniVision to get calibration data or something like that). I hope @lex is reading this and can comment on it since he already made some tests with 2MP and 5MP camera modules. Out of curiosity, Sinovoip has 3 camera modules, OV5640 module version 1.0, OV5640 version 2.0 and OV8865 version 3.0, you seem to have one OV5640 module, right? They all use 40 bit FPC cable, if your version is 2.0 and you still have your M3 you could give it a try and you already knows how to build the stable image. BTW i have read Igor got M3 and i have a feeling sooner or later there will be a stable image for the M3, looking forward to hearing news about this. you seem to have one OV5640 module, right? Thanks for the latest info guys, I'll be very interested to see how @lex gets on with the 5Mp camera on NanoPi M1. I only bought the gc2035 for the camera expansion board, so haven't tested that beyond grabbing a frame. I have a OV5640 like this which looks like it should be pin compatible with the board. Although when I run 'modprobe vfe_v4l2' I get the following, suggesting a problem with the i2c communications perhaps? [ 1946.960049] [ISP] isp platform_id = 5! 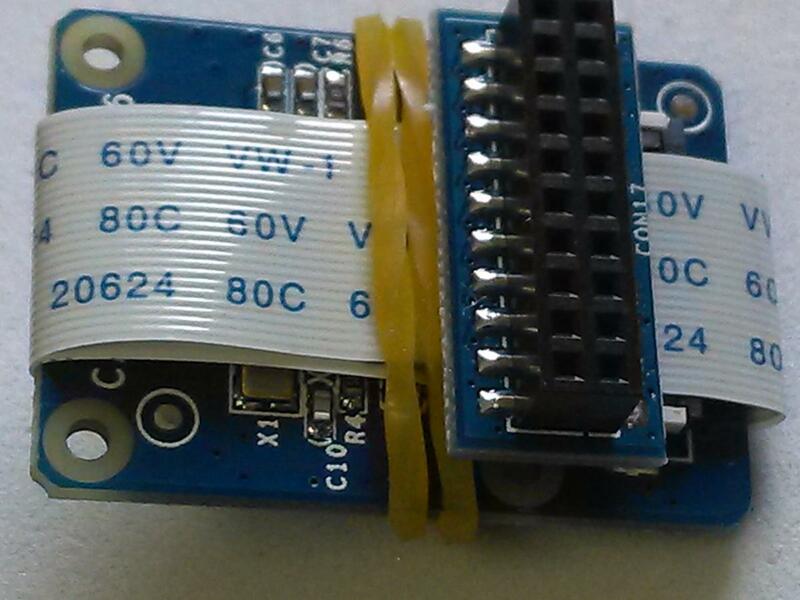 [ 1946.970114] [VFE]Find sensor name is "ov5640", i2c address is 78, type is "YUV" ! [ 1946.970126] [VFE]Sub device register "ov5640" i2c_addr = 0x78 start! [ 1946.970152] [VFE]registered sensor subdev is OK! [ 1947.050856] [OV5640]chip found is not an target chip. [ 1947.086994] [VFE]vfe sensor subdev unregister! [ 1947.087009] [VFE]Sub device register "ov5640" failed! [ 1947.096273] [VFE]vfe select input flag = 0, s_input have not be used . You just opened the wrong /dev/videoX , open /dev/video0 and you will be OK! I have seen the error VFE_ERR, i guess we need to look closer. Seems you have two cameras attached! Sounds like you have to swap two pins, please, have you checked pin to pin with GC2035? 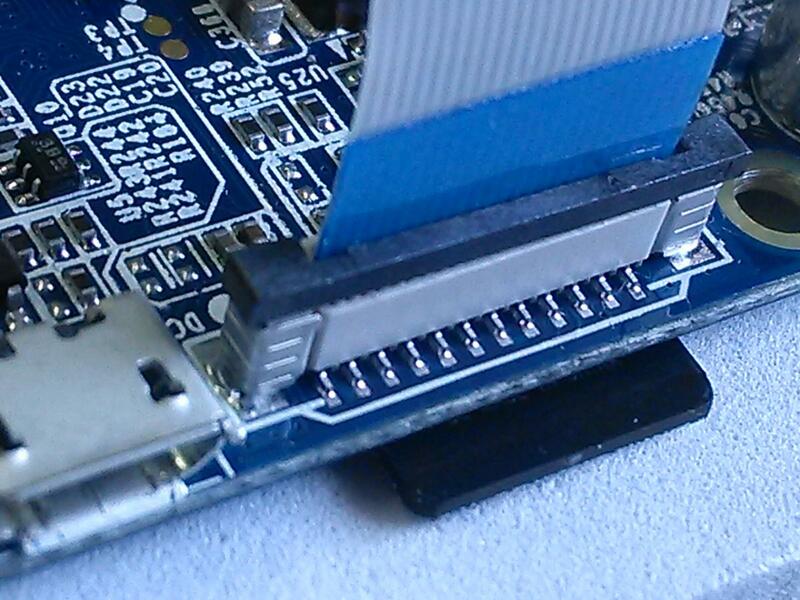 I was testing the v4l module with a USB and OV5640 camera, the USB is working perfectly... the OV5640 (24 pin) is not. I tried to remove the USB camera... it is not the fault. On .fex file I found a line that is apparently fixing ov5640 to /dev/video0. Do you know anything about VFE_ERR? @lvmc and @mattday, please print your [csi0/csi1] section (fex) so others can help. 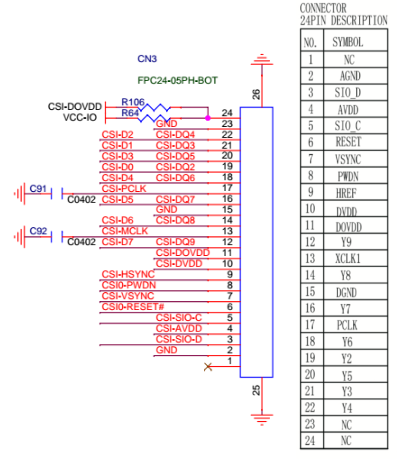 @mattday, do you have gc2035 module pinout? 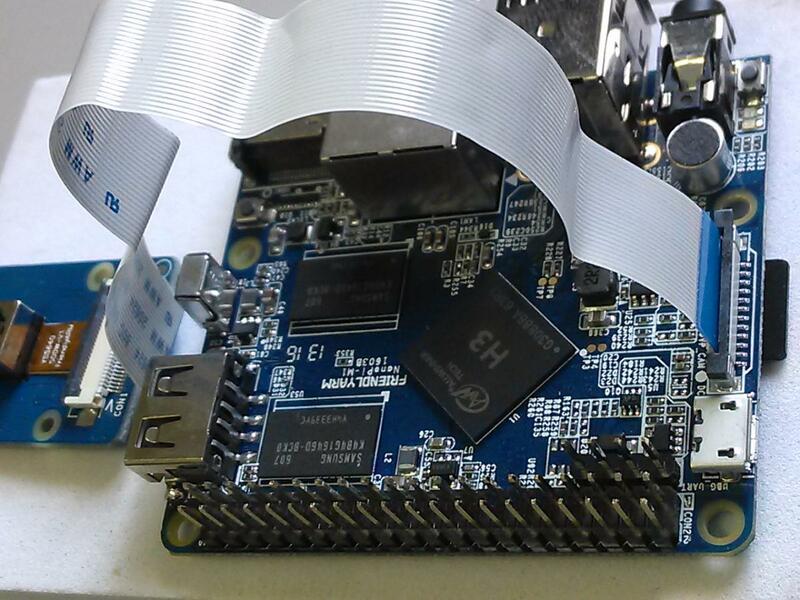 I expect to receive and work with NanoPi M1 soon. But until then, i am just guessing. Someone else already fixed this possible VFE error, unfortunately he has not disclosed the fix. I found my hardware issue. It wasn't obvious what 'Sitheek' meant about 'reversing pinouts' for OV5640. From the picture of the adapter board he posted it looked like he might be doing something with pins 10 and 11, but that didn't seem like a good idea from the data I have. It turns out you need to essentially switch the whole connector 180 degrees. So pin 1 becomes pin 24 and vice versa. I can't see how his adapter achieves that, but I can confirm this is necessary for the Orange Pis. I don't have pinouts for the GC2035 or the camera expansion board, but the OV5640 should be pin-compatible based on my scope measurements and the schematics for the Orange Pi 2 (which does not require an expansion board). Unfortunately I don't have the equipment at home to desolder the FFC connector, so can't try anything else for the moment. I am not sure if i understood, can you clarify? is solved when you switch the whole connector 180 degrees? Or this error occurs after you found the hardware iissue? I hope it will be solved, but I can't try yet. The pin reversal was responsible for this error in my case. The connections were all wrong. I imagine the first thing the driver does is try to talk to the camera using i2c, but the i2c pins (SDA/SCLK) were connected to some camera image data pins (D2/D3). So of course the communications failed and driver aborted. Please, get back with your results when you try it. I tried to load OV5640 without the camera plugged and got the exact same error, so it's true about I2c. And i wonder if inverting the whole pins may damage the sensor. They have not released any fex configuration yet. Unfortunately I will have to wait for another camera expansion board to come from China now. I attempted desoldering the connector and reversing it at home... this inevitably went horribly wrong. It is possible I damaged my OV5640 sensor, but fortunately I have another one of those. For the NanoPi M1, I think you should be able to copy the [csi0] section from the Orange Pi One fex file with only minor changes. I've looked at the schematic for the M1 and there are only a couple of differences from the Orange Pi. There is no power enable signal on PA17 and it is not clear if PE15 is used for a power down signal, but there is no harm in leaving that pin assigned. Assuming the Orange Pi One config is correct, then the following changes may be all that is needed for the M1. BTW, I assume you have a camera and board that were sold together like this? I just received the board and the camera on saturday, customs was holding it. 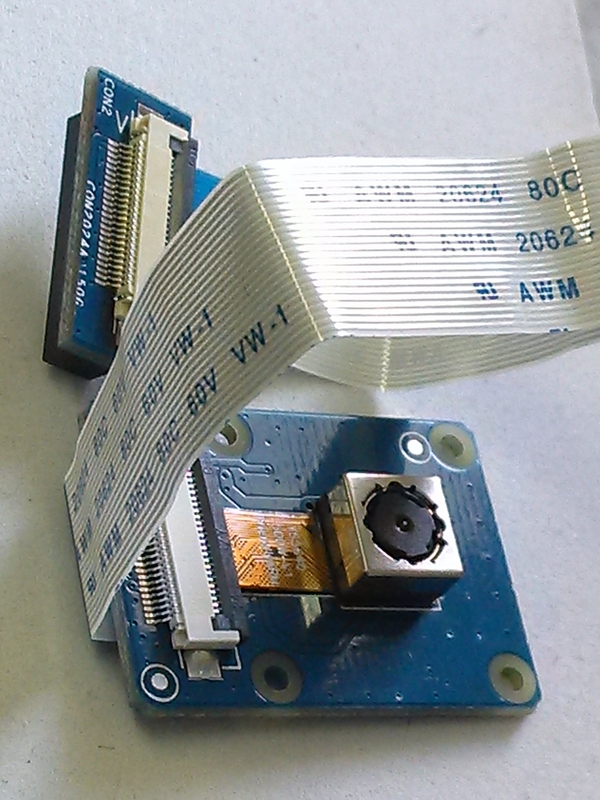 Yes, this is the camera and the FPC soft cable was/came inverted (based on the picture shown with NanoPi 2 board) and with that connector at the end, at first i thought it was a used camera, the FPC cable was folded around the expansion board. I did not take any care and plugged the camera with the config showed by @lvmc for M2+ before reading your message. As i can understand, if i connect it with FPC inverted 3v3 goes to GND, not a good thing. I hope there is some protection on the expansion board or i just got it wrong. In short, the camera could not be recognized, i will test it with your changes and also will try it on M2 to see if i damaged the sensor. If you have any comment about this, please advise. During my tests I switched it 180Âº several times to try... but after reading latest posts I decided to re-install Android image to test if camera was still live. The bad new is that it is not, anymore. So I think it was damaged... waiting for more units from China! So everyone is plugging their cameras in the wrong way round!? Maybe I am missing something because I am surprised it is possible to connect the FPC wrong on these boards. The contacts are usually only on one side. If I try to switch mine 180Âº there will be no connection. @lex: Your sensor may still be OK. I wouldn't worry too much about 3.3V having been connected to ground. Voltage regulators often have some protection built in. There is a small chance you damaged the sensor if 3.3V on pin 2 was connected to the camera data line on pin 23, but because it was shorted, the actual voltage would probably have been lower than 3.3V. The maximum ratings from the OV5640 data sheet suggest it would probably tolerate this. @lmvc: I'm surprised your sensor is damaged. Your BPi has the voltage regulators on board, so the maximum voltage the sensor can ever see should be 2.8V which it should handle. I guess it is possible you have damaged something on your board. I tried again to boot from Android with OV5640 connected and not connected... when it is connected it loads the kernel modules, while when it is not connected it doesn't. <3>[  145.688736] [VFE_ERR]sensor standby off error when selecting target device! <3>[  145.712670] [VFE_ERR]sensor power off error at device number when csi close! <3>[  150.950194] [VFE_ERR]sensor standby off error when selecting target device! <3>[  150.970114] [VFE_ERR]sensor power off error at device number when csi close! <3>[  154.253900] [VFE_ERR]sensor standby off error when selecting target device! <3>[  154.274939] [VFE_ERR]sensor power off error at device number when csi close! Can someone help to check if FEX and PINs from OV5640 datasheet are correct? It seems to be wrong! 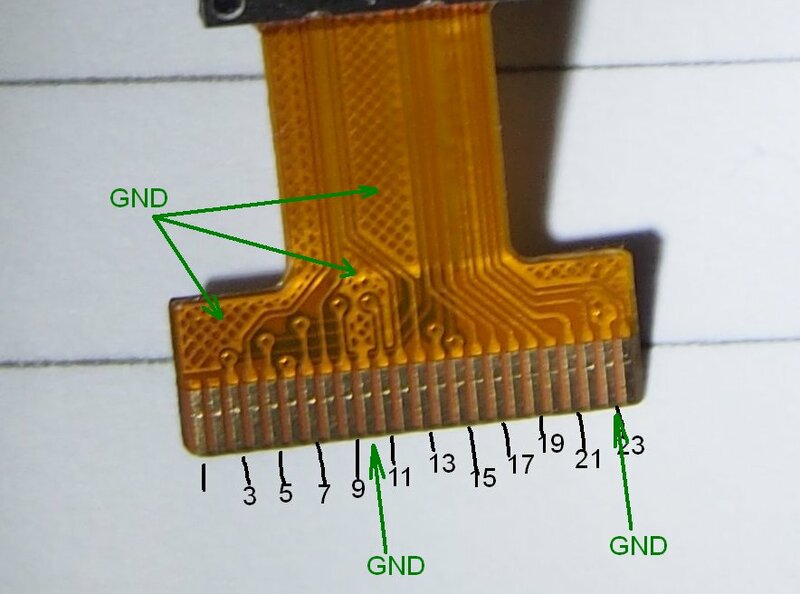 Your pinouts for board/camera seem to match OK. You can do a quick check for ground pins on the camera FPC because they can be easily identified (see image). This is how I first realised my camera must not be connected correctly. The pin definitions in your fex also look good to me, going off the schematic. If you have a multimeter or oscilloscope, perhaps check the voltage between ground and all VDD/VCC pins. Sorry this is not very helpful. c) Next is to check if camera is still alive on M2 and ask FriendlyArm for some help. If i made a mistake connecting the FPC, please let me know. A litle update, good and bad news. The bad news: I tried a couple of changes, still not able to work with the camera on M1, need some hardware guy to find the correct fex configuration, but i will keep trying. I still don't think that hardware pins match .fex definition. Can you explain why do you think it is correct? Do you have M2+ in your hands? If you have it, could you try this image from SinoVoip? It is reported to OV5640 be working... my OV5640 is also working after inverting 180Âº the connector and turning ON/OFF. Someone could, please, help me match the pinout with .fex specification? That is the datasheet for OV5640 I have in hands! @lmvc: I think it is correct because all the pins match up. OK so they use some slightly different naming depending on which datasheet you are reading. OV5640 can use 10-bit output, whereas only 8-bits are usually connected, so Y9 becomes D7, etc. I have NanoPi M1 and NanoPi M2. This weekend i played a lot with M2 (building my own image) and the camera is working for the M2. Some bits of information about the M2, no v4l2 on linux side, 1920x1080 HDMI buggy on Debian and Android suggesting it is a power source problem but i use 5V 2.1A. Not to worry about the v4l2, the code is there and is just waiting for someone to port it to linux. This is a great opportunity to Armbian to take over and give some support to M2 if the microUSB power does not show its weakness. About M1 and camera, i think i tried some fex configuration and without much hardware knowledge i can't go further than this, let's see how FriendlyArm handles this. Have you tried to decompile the script.bin from the SinoVoip on that image they claim to work?